After the Christmas break, we start back on Monday 14th January 2019 at 2.00 p.m. Village hall. All welcome! 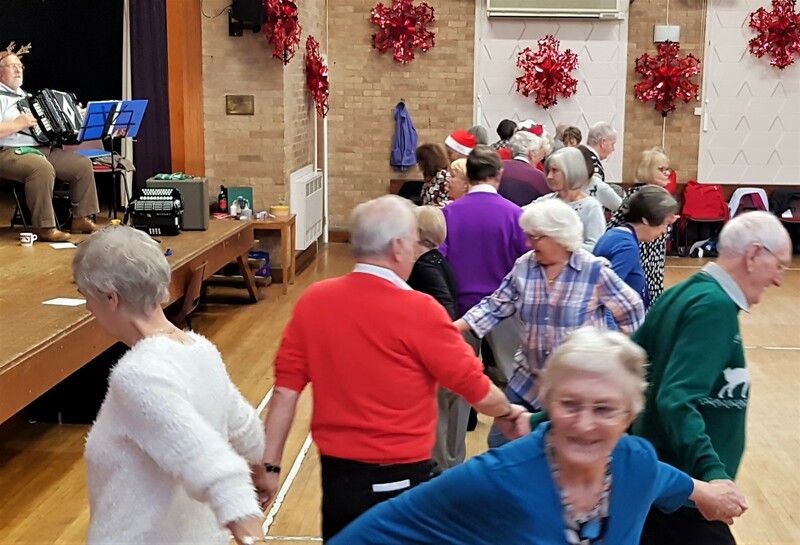 We meet at the Village Hall on the second and fourth Mondays of the month at 2pm. There is a minimal charge of £1 to cover hall hire and refreshments. 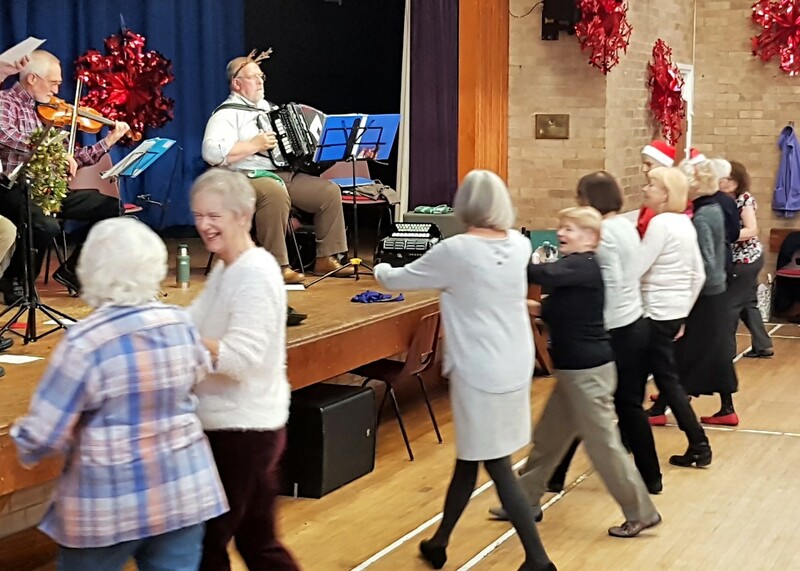 We enjoy learning new dances and practising old ones, led by members and accompanied by the Jolly Beggars band. 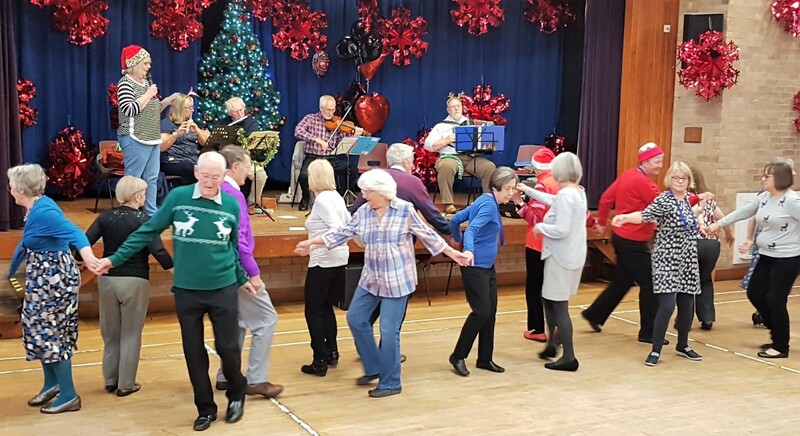 English country dances, which were first written down and published in the middle of the seventeenth century, were at that time the social dances of the gentry. They were performed by pairs dancing in sets of generally six or more people. 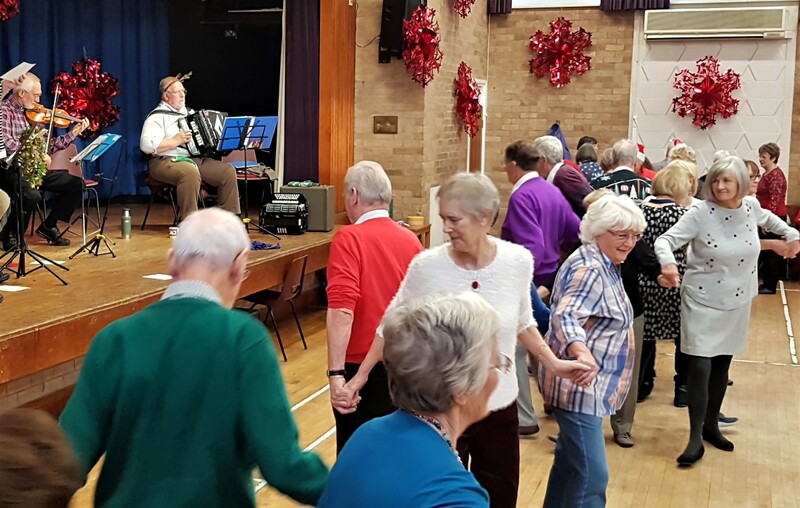 In the present day one may encounter dances in such formations at barn dances, but the range of the English Country Dance is very much wider than that. 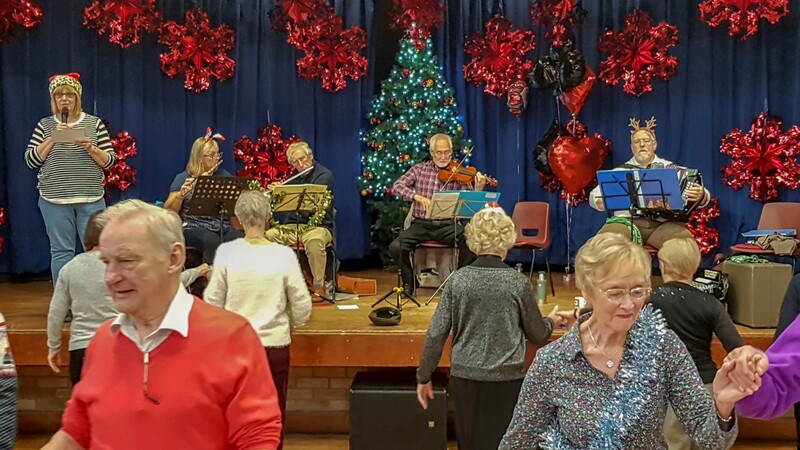 The U3A English Country Dance group will cover some of the original 17th and 18th century dances (often referred to as "Playford" after the publisher of the first collection of dances in 1651) as well as modern dances in the same style. This will be a social activity so everyone can join in and have fun!